Jack Hobart Piddington was one of Australia’s most distinguished radio scientists. After undergraduate studies in Sydney, he completed his doctorate at the University of Cambridge under Professor EV Appleton. During the Second World War he played a leading role in the secret development of our radar defences, notably with a highly successful air warning system. Afterward he contributed to Australia’s leadership in the emerging science of radio astronomy. The major part of his career was devoted to theoretical astrophysics, more specifically to cosmic electrodynamics in which field he made a number of innovative contributions. He was born on 6 November 1910 in Wagga Wagga, NSW. He and his younger sister, Jean, were the only children of Frederick Clarence (Clarrie) Piddington and Leone Mabel (Connie) Millenet. Clarrie was a wool classer, and it seems that he spent little time with his young family. He left when Jack was about five, leading to divorce in 1916, and died in Perth at the age of about 35. Jack’s primary schooling was at the Wagga Rural School, where his interests were more on outdoor activities than his studies: ‘has ability – won’t work’ according to an early school report. However in his final year of primary school he won two scholarships for secondary school, one for twenty-five pounds and the other for twelve pounds ten shillings. He completed secondary schooling to Intermediate level in Wagga, then moved with his mother and her three sisters to Bondi, where he was accepted into Sydney Boys’ High School, a selective school of high standards. There his skills in mathematics and science developed. In the 1929 Leaving Certificate examinations, he was dux of the school, winning the headmaster’s prize (Albert Cup). He gained first place among the bursary winners, winning the Barker Scholarship and the Horner Exhibition in Mathematics. In 1930, he enrolled in Engineering at the University of Sydney, overcoming his mother’s worry that she could not afford the university education his talents clearly deserved. He won the George Allen Scholarship and the KK Saxby Prize for Mathematics I and the Smith Prize for Physics I in his first year (1930), and the Barker Scholarship for Mathematics II and the Slade Prize for Practical Physics II in his second year (1931). He transferred to the Faculty of Science in 1932 and graduated BSc with First-Class Honours in Mathematics. He returned to Engineering with the CG Caird Scholarship, and was awarded the Percy L Weston Prize for Electrical Engineering I. He completed his BE in 1934 with First-Class Honours and the University Medal. Over these five years, with prize money, scholarships and earnings from tutoring, his net income averaged more than the basic wage, then four pounds ten shillings per week. He was awarded an MSc in 1936 along with the Peter Nicol Russell Medal, for a thesis entitled ‘The Frequency Stability of Valve Oscillators’. The work was carried out in Professor JPV Madsen’s Department of Electrical Engineering, Sydney University and in his last year he was appointed an officer of the Radio Research Board, which was under the direction of CSIR. During this period he published five research papers on electronic devices. In 1937, he was awarded a Walter and Eliza Hall Engineering Fellowship, which was for three years, intended to be two years abroad and one year back in Sydney. He planned to use the fellowship to work at the University of London under Professor EV (later Sir Edward) Appleton, who later won a Nobel Prize for his discovery of the ionosphere. Instead his research on the reflection of radio waves by the ionosphere and troposphere was carried out at the Cavendish Laboratory, Cambridge University under Appleton’s supervision. In 1938, he was awarded a PhD by the University of Cambridge; his thesis was entitled ‘The Scattering of Wireless Waves’. He published four papers on his PhD work, the first of which was co-authored by Appleton. So when we came back to Australia, we knew all the principles of radar and we also knew the amount of power we’d need in transmitters and qualities of the receivers to make a set that would be of any use in picking up aircraft. He put this knowledge to good use during the war years. After returning to the University of Sydney in 1938, Piddington’s research for the Radio Research Board included the development of a high-power pulse transmitter and receiving system, ostensibly for ionospheric investigations but also capable of aircraft detection. This was the first radar system in Australia, but it was never used as such. He was a Radar Consultant, British Army Malaya, Hong Kong, Burma, 1941 and a Radar Consultant, Air Ministry UK, 1944. Details of CSIR’s research on radar can be found at the following link Radar. We had foreseen that air warning was likely to be the major role of radar, but the RAAF had worked on the basis that they would get the air-warning sets from England. Pearl Harbor put a sudden end to that idea. On Pearl Harbor day I designed an air-warning set in two hours, and with 14 others worked on it. Five days later we had the set completed, installed, and tested at Dover Heights – and that rough set provided air warning for Sydney for the next nine months. the role of magnetic fields in astrophysics. He was a Visiting Professor, University of Maryland, 1960; a Visiting Professor, University of Iowa, 1967 and Consultant Astronomer, Kitt Peak National Observatory, 1974. He was promoted to the level of Chief Research Scientist in CSIRO in 1975. He was a mild mannered and reserved person and it took some time to get to know him. In public he seemed imperturbable, but this was rather a facade. 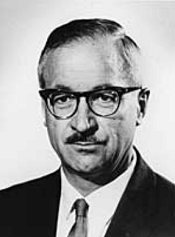 Jack was essentially a kindly, somewhat shy man, who in his early career was an expert electronic engineer and designer. He was also an accomplished mathematical physicist and always confident about the correctness of his scientific ideas. In the late 1950s, the Upper Atmospheric Section of CSIRO was created for DF Martyn at Camden, southwest of Sydney, and Piddington was a regular visitor there. that he had been inspired in 1960 by Piddington’s work on the interaction between the solar wind and the magnetosphere. However, Piddington didn’t agree with some of Cole’s conclusions, identifying them as similar to those of Axford and Hines, with whom Piddington also had a dispute. Piddington’s theory was essentially that of transient interaction whereas those of Cole and of Axford and Hines dealt with a steady state. The credit for the concept of magnetospheric convection went primarily to Axford and Hines. In Cole’s opinion, Piddington did a lot of outstanding things, but did not reap the credit he deserved for his major contributions. His prediction of the magnetotail of the Earth was independent of that of Frank Johnson which is much more referenced. Also his seminal work on interaction of the solar wind with the geomagnetic field to produce magnetic disturbance represented a new complexion of research in the field. Cole’s impression of Piddington was of a modest man, of strong will and opinion, who was not bothered by the relative lack of recognition of his work. The close friendship between Piddington and DF Martyn continued from the 1930s until Martyn’s death in 1970. Martyn nominated Piddington for election as a Fellow of the Australian Academy of Science in 1959 (the nomination was seconded by LGH Huxley and supported by TM Cherry, KE Bullen and AR Hogg), and the citation covered essentially all his work, including that on war-time radar. Piddington was elected FAA in 1963. In looking back over Piddington’s professional career, it separates into three periods that were very different not only in the work he did but also in the way he interacted with others. In the wartime years – his expertise in radar led him to interact widely with his professional colleagues, led to significant involvement with industry and the military, and involved travel to diverse places. The years in radio astronomy – made him part of a group of outstanding young scientists who were engaged in the excitement of creating a new field of science. His collaboration with Harry Minnett on radio observations of the Moon and their interpretation was one highlight of his career. In contrast, a notable feature of his later career in theoretical astrophysics is that so much of it was carried out in relative or almost complete isolation. He was isolated on the international stage, and locally he had no collaborators, seemingly more from choice than from lack of opportunity. It is remarkable that all but one of his papers on theoretical astrophysics have him as sole author. The exception is the original paper on the Io effect, written while he was visiting the University of Iowa, and this exception was perhaps the highlight of his career as a theoretical astrophysicist. Piddington formally retired from the CSIRO in 1975, on reaching the retirement age of 65. He continued his research and his association with the CSIRO as a Senior Research Fellow until 1984. His last published paper was in 1983. He had been a sportsman all his life and he continued to participate in sport after his retirement. He played competition tennis for over sixty years at the top of second grade and occasionally in first grade. His services to the sport and his love for the game were rewarded by a Life Membership of the White City Club in Sydney. After retirement he turned to lawn bowls and played at Pennant level. He enjoyed the challenge, particularly when his eyesight was failing in his latter years. He died peacefully on 16 July 1997 from cancer. He was a Member of the editorial board of Astrophysics and Space Science.